In my plan, it is recommended to drink a glass of warm water every morning with the juice of a fresh lemon squeezed into it. 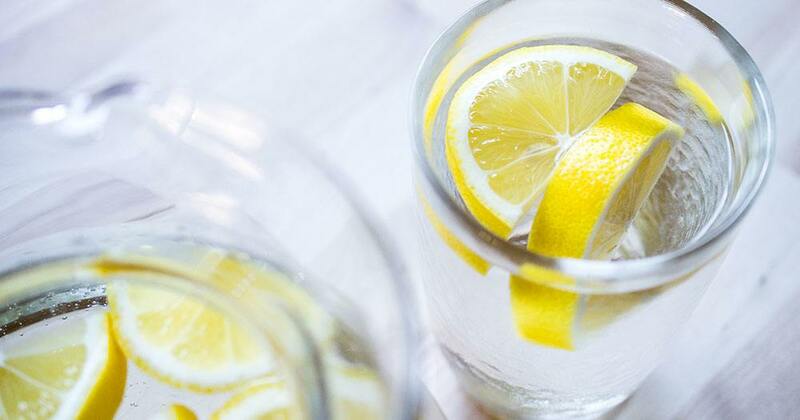 The morning lemon water is an easy way to support and cleanse your body’s main fat-burning organ – your liver! The health of your liver has a direct bearing on your ability to lose weight easily and efficiently. A healthy liver not only burns (metabolizes) fat, it also pumps excessive fat out of your body by transporting it to your small intestine to be digested and assimilated. Thus, if your liver is healthy, controlling your weight will be nearly effortless. On the other hand, a liver that is congested, clogged and toxic will do the exact opposite of what it is designed to do–it becomes a fat-storing organ rather than a fat-burning organ. If you have a roll of fat around your middle robbing you of your natural waistline, you may have what is commonly called a “fatty liver.” Your liver has stopped processing fat and begun storing it. Only when you take steps to cleanse your liver and bring it back to full function will you lose this fat. Each day your liver produces about a quart of a yellowish green liquid called bile. Bile is an emulsifier (a soap-like substance that helps break down fat globules into smaller particles so that they can become miscible with water). This allows fats to be metabolized and prevents them from being stored in the liver. Bile is essential to the liver’s ability to burn fat, therefore it is important to make sure your body is producing enough bile, and that the bile it produces is of high quality. The liver cannot perform it’s fat burning role if it is hampered by a lack of bile nutrients, congestion, or even clogged bile ducts, which constrict bile flow and result in less bile production. Bile cannot do its job of breaking down fats if it is congested or thickened with food chemicals, pesticides, drugs and other toxins. This is where the lemon water comes in. The combination of fresh lemon juice mixed with water is a well-known bile thinner. The Vitamin C from the fresh lemon juice benefits the formation of quality bile as it helps the liver to produce a compound called glutathione, which helps cleanse and regenerate the liver. The warm lemon water also promotes peristalsis, the contraction of muscles in the bowels that keeps waste (and fat) moving along the digestive tract and out of the body for elimination. Upon rising, before you consume anything else, drink an 8-ounce glass of warm water with fresh lemon juice. The purpose of this drink is to cleanse your liver (your body’s main fat burning organ) and to stimulate your metabolism into action. To prepare the morning lemon water, add the juice of ½ a fresh lemon to eight ounces of warm water. Water should be the temperature of a cup of tea. Do not use boiling hot water, as Vitamin C is destroyed by high temperatures. Use only fresh lemon juice; bottled lemon juices contain a preservative, which will defeat the purpose of the cleansing lemon water. Furthermore, many people don’t realize that almost all bottled liquid drinks – whether juice, milk, or even sodas – go through a pasteurization process, where the liquid is heated to kill bacteria. But along with the killing of bacteria, heating the liquids also kills some of the nutrients and you end up with a less-healthy product as a result. Heat especially destroys the vitamin C naturally present in lemon juice. To save time on squeezing lemons daily, you may freeze a batch by squeezing enough lemon juice to fill an ice cube tray. Each morning you can put your “lemon juice cube” into your warm water, allow it to melt, stir and drink.